Welcome to Calgary's community sailing club. 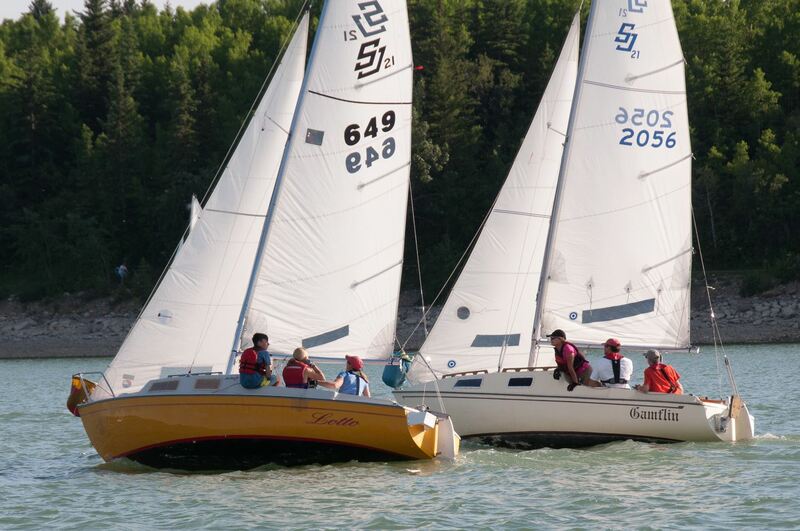 The Glenmore Sailing Club is a friendly and fun place for affordable sailing Education, Recreation, Social Events and Racing programs for people of all ages and abilities. the Club has sailboats for members. Think of it like the Car2Go of sailing. For people with their own sailboat, BYOB (bring your own boat) and come have some fun with us. Our sailing season is from May through October. We fill the season with social / recreational sailing, Experience Sailing adventures, summer youth sailing camps, private lessons, weekly racing on Wednesday evenings, weekend regattas, and community outreach. Sailors live in communities throughout the city and in surrounding communities (Airdrie, Bragg Creek, Okotoks, Cochrane, Canmore, Strathmore, Chestermere). Mutually beneficial partnerships and sponsorships expand the awareness and exposure of both our organizations while building both of our communities. We're a group of adventurous outdoor enjoying people enjoying life. We will work with you to create personalized recognition and activation plans. We look forward to a conversation with you about how we might work together to mutually grow our respective communities.